By popular demand, we have revamped and expanded our Minecraft Club. It is now Builders Club! Kids will have an opportunity to do themed builds and challenges with not only Minecraft, but also Roblox, and Fortnite (Creative). If your child loves building with LEGO bricks, we also have LEGO Club running concurrently. Kids will use their creativity to explore, plan, build, and play. 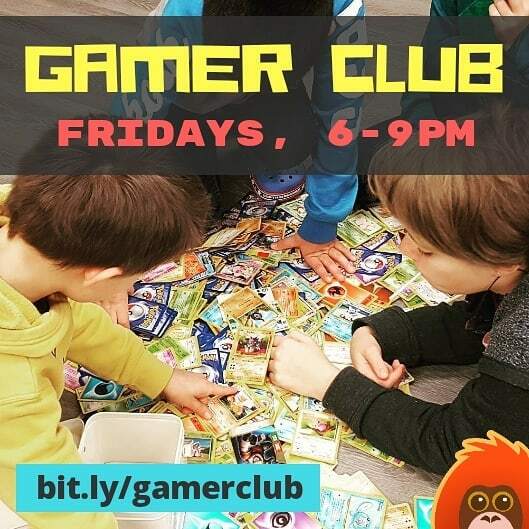 This is not just Gamer Club (that’s Friday)! They will be expected to work on their themed builds and challenges each week. It’s play with a purpose. This club is appropriate for kids in grades K-8. If we have enough kids, we will split them up into age-specific groups. Each participant for this club will need accounts for any games they will use for their builds. This could include Minecraft: Java Edition, Roblox, and Fortnite. We cannot create accounts for your kids, but we can help you create one when you bring your child to the office. If your child has an account, make sure he or she knows the username and password. We suggest writing them down for your child, just in case. Parents/guardians should plan to stay for the first 10-15 minutes of the first session, to make sure their kids are able to log in to their accounts. Is your child allowed to play Minecraft? Remember to create an account, if needed. Is your child allowed to play Roblox? Remember to create an account, if needed. Is your child allowed to play Fortnite? Remember to create an account, if needed.